January Jones is the author of, Thou Shalt Not Whine....The Eleventh Commandment. Ms. Jones interviews Success Coaches sharing their Stories, their Struggles and their Success Secrets! Ms. Jones has over 2 million BTR listeners to date! Meet Yvette Bethel What if you could be three steps ahead of the underhanded games people play at work? 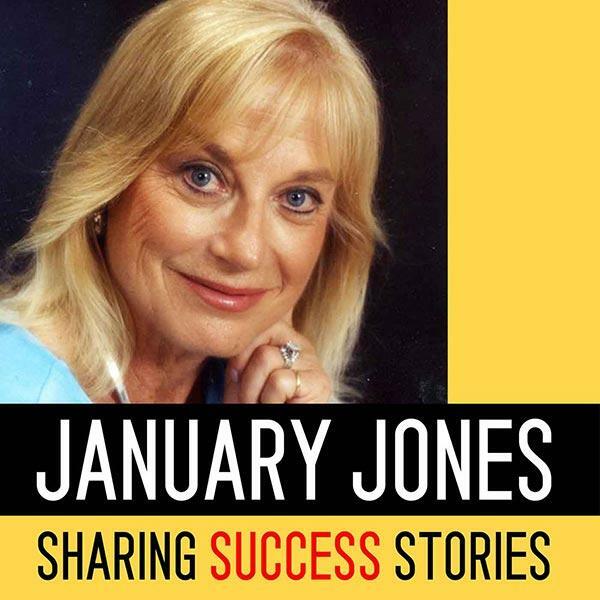 Your radio show " January Jones sharing Success" caught my attention, and it occurred to me what would life be like if we were given the opportunity to learn how to navigate the complexities of office interactions, all through improving your self-awareness and self-regulation skills? The book, "EQ. Librium: Unleash the Power of Your Emotional Intelligence; A Proven Path to Career Success" is research based and provides everyday workplace scenarios that people encounter. Throughout the book Yvette Bethel shares inspiring success stories, easy to understand solutions, inspirational quotes, and self-assessment questions. Yvette Bethel is a Fulbright Scholar, HR and business consultant, emotional intelligence practitioner, trainer, lecturer and author who was employed by a Fortune 500 bank for almost two decades. During her tenure in the banking industry, she served in senior capacities in corporate strategy, marketing, PR, training and human resources. Bethel's HR and training experience commenced in the late 1980s and before venturing into her own business, her HR and training role was responsible for a portfolio of eight countries. To learn more about Yvette Bethel and her work, visit http://www.orgsoul.com/Virtual-Book-Tour. Meet Tawana Williams, with a personal JFK Story! Tawana was born without arms and her mother wrote to President Kennedy asking for help and he responded in such a wonderful way that Tawana will always be thankful for his assistance to her mother and herself! JFK really changed her life for the better. "I seldom think about my limitations because I'm focused on my possibilities. ?-Tawana Williams From the shadows of obscurity and the anguish of disability, Tawana Williams was a victim of brutal medical negligence; due to the drug Thalidomide that was given to her mother during pregnancy. Born without arms and impaired use of her legs, her compelling life story unfolds her will to survive the anguish of physical defect and the shame of abuse and isolation. Unable to fight with human hands, she fought in spirit and yet lives to stand through the grace and courage of God, Unarmed But Dangerous. Faced with many challenges and obstacles that most people take for granted, Tawana has figured out a way to do some of life's simplest things such as; eating, cleaning and being self sufficient. These tasks seemed monumental, yet her resolute determination transcended self-pity. She endured years of physical pain, emotional scars and the rejection of family members and peers. She withstood childhood only by the strength of a mother's love. Tawana was born to a mother that told her ?there was nothing that she could not do,? she also had a grandma Rogers that told her as a young child that ?she didn't need arms because God didn't give them to her and nothing was missing, if you don't have it, you don't need it.? IGNITE YOUR BRAIN! Harness Your Imagination and Succeed James is proud to announce the launch of this 305-page hardbound, web-supported book. Imagine an amazing book that can easily help everyone enhance their life: mentally, physically, spiritually, emotionally and socially. Imagine this book is a stunning 305 page hardcover with 21 video links to inspire and educate about the incredible power of the mind & the elegance of the imagination. These 3-6 min video clips provide simple, practical tools for personal growth in all areas of life and I do the coaching. The book is here! Release date set.